When the time comes to sell your home, and list it in the Real Estate Market, United Real Estate Myrtle Beach offers unsurpassed technology to assure a quick buyer for your home. Our combined experience in marketing and technology gives our Real Estate Professionals the advantage to produce the results that you expect. 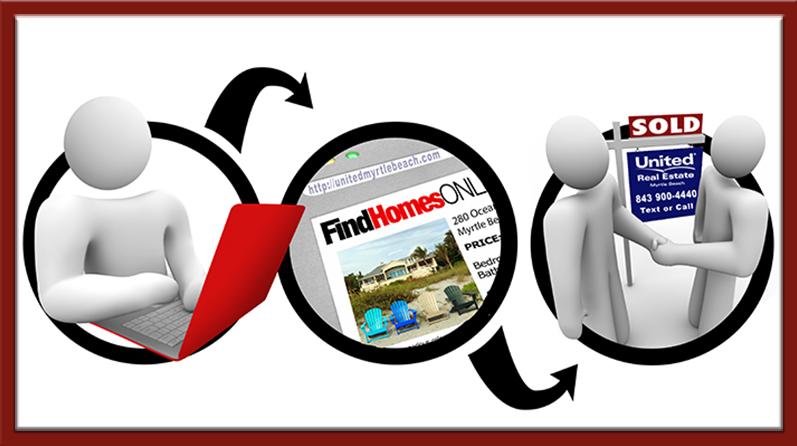 Listing your home for a reasonable price. A house that is priced well can result in many offers that can raise the final value of your home. We take the tools and knowledge we have acquired and price your home based on other similar properties we have found around your area. Getting the word out and exposing your home. In addition to pricing your home correctly, we monitor the incoming traffic to homes for sale in your local area making sure that your home is exposed in every way to ensure potential buyers. Marketing on the internet is the key. When marketing your home, we use our advanced technology, such as our listing power, search engine optimization, email marketing, and our enhanced marketing solutions. We advertise your home in areas and sites that are highly visible to make sure your home is getting the proper coverage. Negotiating to get the best deal. Once your home starts to bring in offers, we make sure that you are getting the best deal possible with reasonable closing terms. We take care of all of the paperwork, as well as representing you in the negotiating the process.